A nonprofit organization with 501(c)(3) tax-exempt status may qualify for various grants to help it carry out its nonprofit mission. Organizations that distribute grant money, called grantmakers, usually have a specific focus, serving certain types of nonprofits or populations in need. Some examples of 501(c)(3) nonprofits include educational, religious, charitable and scientific organizations, all of which may qualify for grants. Obtaining grant money starts with a thorough search for a grantmaker whose focus closely matches the mission of the grant seeker. Nonprofit 501(c)(3) organizations often obtain grants from private foundations. A foundation is a nonprofit entity whose activities include distributing money for charitable purposes to qualifying grant seekers. Some foundations are corporations, such as local chambers of commerce, while others are run by individuals or a group of community members. Sometimes, foundations are nonprofit subsidiaries of larger for-profit businesses which set aside some of their earnings for charity. The Internet has streamlined the process of finding foundation grants. The web enables tax-exempt organizations to search for grant programs by visiting websites that provide foundation directories. Sites such as foundationcenter.org speed up the grant seeking process by providing each grant's application requirements at a glance. Some directories also have helpful resources on common grant application forms and statistics on the top grantmakers. Another option for nonprofit organizations is to apply for discretionary grants from the federal government. Grant seekers can find federal grants by visiting websites such as grants.gov. These online lists can be sorted and filtered based on the type of funding activity the grant seeker is engaged in. Major grant categories include housing, education, community development and cultural affairs. 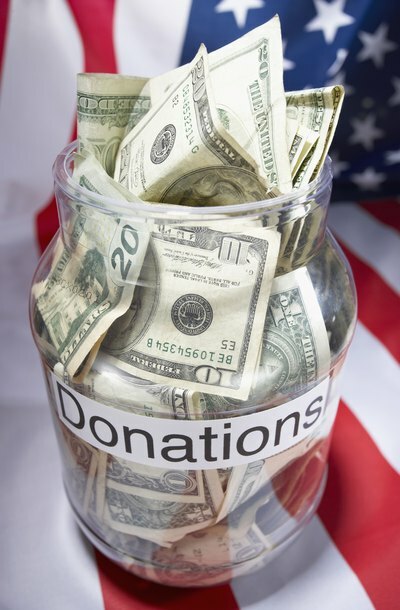 State and local governments are good sources of grants for nonprofit 501(c)(3) organizations willing to take the time to do the necessary research. These grant makers aren’t always listed in a comprehensive directory, so multiple web searches may be needed. For state-funded grants, a good starting point is to go to the .gov website for the grant seeker’s state and type “grants” into the search box on the site. Local governments usually have similar search functions on their websites. Searching for grants on the websites of major newspapers in the grant seeker’s state is another useful method. Although time-consuming to find, these local grants can be less competitive than federal or private foundation grants and yield better results.